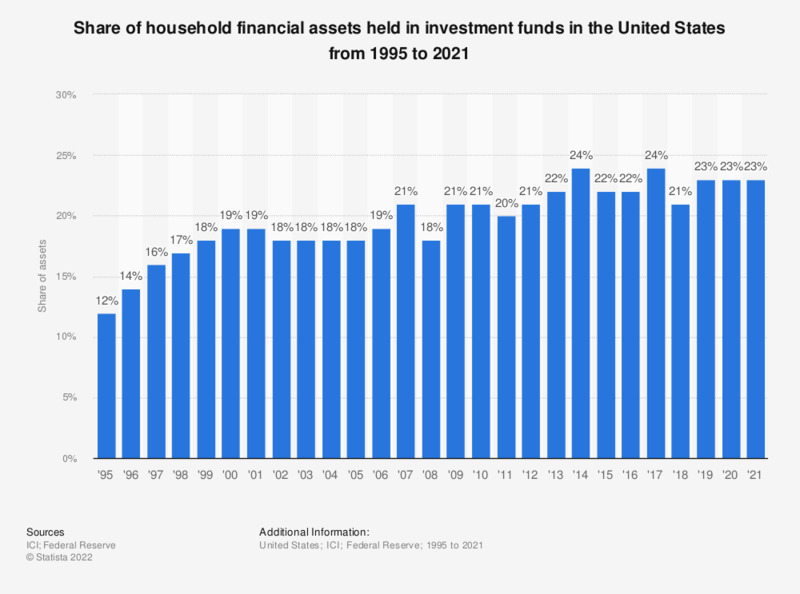 The statistic presents the share of household financial assets held in investment funds in the United States from 1995 to 2017. In 2017, 24 percent of the household financial assets were held in investment companies such as open-end mutual funds, closed-end mutual funds, ETFs or unit investment trusts. Investment companies are open-end mutual funds, closed-end funds, exchange-traded funds and unit investment trusts, registered in the United States. Mutual funds held in employer-sponsored DC plans, IRAs, and variable annuities are included. Who in your house is in charge of the family money?